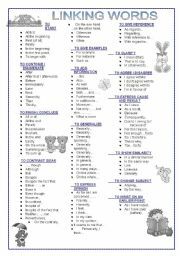 a complete and organized list to help sts in their writings! hope you like it! 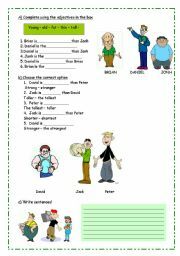 THIS IS A WORKSHEET BASED ON SIMPLE PAST EXCLUSIVELY. 3 PAGES FULL OF EXERCISES!!! 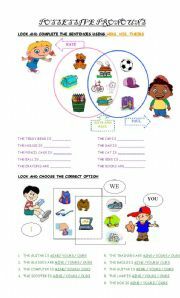 it is a worksheet to complete using the comparative or superlative form ! hope you like it !!! 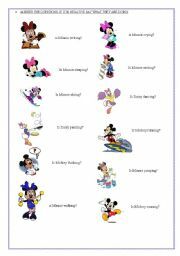 this is a worksheet to practise prepositions! it can be used in class or for homework! enjoy it! 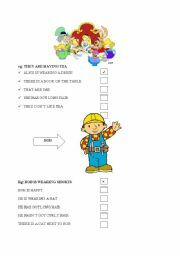 this list is great for boys! 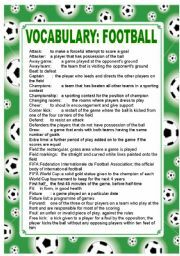 words specially for use in compositions. my students loved it hope yours too!! 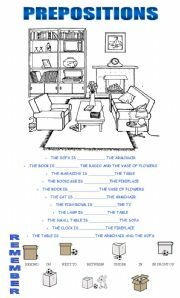 THIS WORKSHEET CONSISTS ON TWO EXERCISES ABOUT POSSESSIVE PRONOUNS. HOPE YOU LIKE IT!! this is a useful worksheet to work on questins and answers in the present continuous form! THESE ARE SEVERAL READING PASSAGES FOR BEGINNERS. THEY HAVE TO LOOK AT THE PICTURE AND ANSWER TRUE OR FALSE. HOPE YOU USE IT! 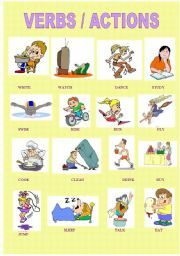 THIS IS the story of the gingerbread boy with pictures for esl students! THIS IS THE FIRST PART OF THE PRESENTATION! I use this powerpoint to show mi students the different places they can find in a town. I had to divide the file in 4 pieces because it was too large! enjoy it!